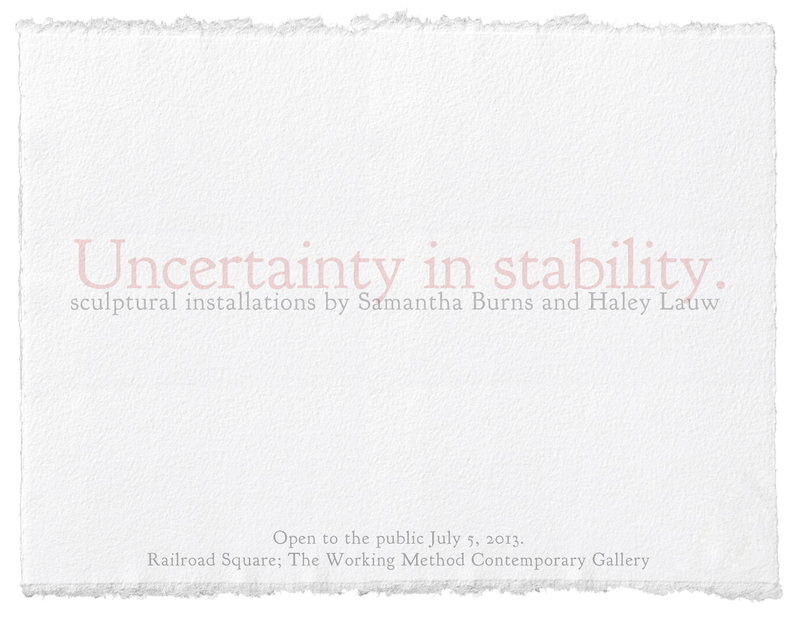 The Working Method Contemporary Gallery presents, ”Uncertainty in stability,” an exhibition of recent works by MFA 2014 candidate Samantha Burns and MFA 2015 candidate Haley Lauw. Displayed within the exhibition are text-based, sculptural installations that investigate intimacy, memory, humor, and visual poetry. 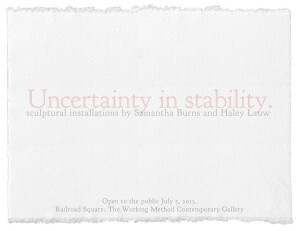 The Working Method Contemporary Gallery will be open to the public Friday, July 5, 2013.